Treat yourself with some fine food! Chef de cuisine Christian Hirsch will whet your appetite! Easy and quick planning of your conference, meeting or event! Celebrate your own Oktoberfest in our event hut! 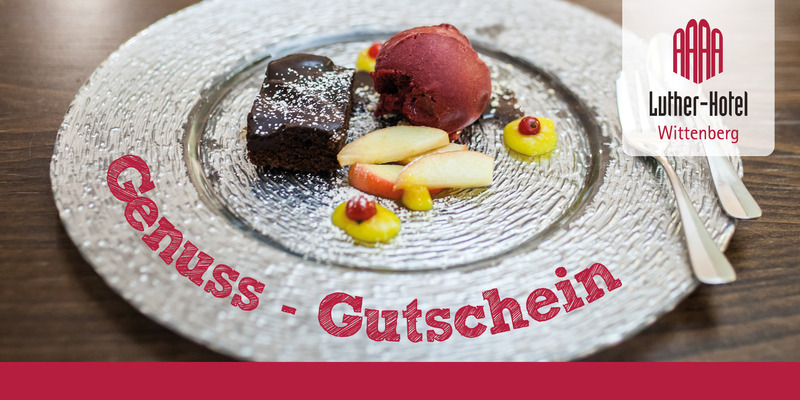 Try out Wittenberg's newest address for culinary delights and indulgences! Vouchers – the Gift Idea for any Occasion! Are you looking for a suitable gift for Mothers's Day, Valentine's Day, a birthday, an anniversary, Christmas or simply to say "Thank You"? A trip to Lutherstadt Wittenberg is the perfect gift idea since there is a fascinating landscape along the grasslands of the Elbe on the one hand combined with the cultural landmarks of the Reformation on the other. 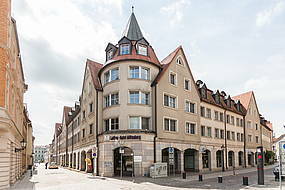 The Luther-Hotel provides indulgence as well as recreation. The voucher is valid for the hotel and the in-house restaurant. Just a few Clicks to your Voucher! Choose a suitable layout from the selection below. Enter into the electronic form the amount you want to spend. Please enter any special requests you might have into the comments field. Enter the billing and delivery address. The voucher and invoice are dispatched by post within 1-2 working days. The voucher can be redeemed as soon as the invoiced amount has been credited. Note: As soon as you impart your Visa card details, the voucher will be dispatched immediately. Instead of giving flowers, why not cause a thrill of anticipation for taking a vacation? Choose layout 1 & bring joy to the ones in need for a holiday! A voucher that will meet every demand. Choose layout 2 and provide happiness! Choose your individual greeting! The handwritten personal message will decorate your voucher! The voucher will be sent per mail. It can be redeemed as soon as the invoiced amount has been credited. If you impart your Visa details, the voucher can be activated at once. On that account, please enter your request and contact information in the “Comments” field. Our vouchers are transferable. Validation expires three years after the issuing date. They cannot be disbursed and neither can partial amounts be refunded. Consequences of Revocation In the case of an effective revocation the mutually received benefits are to be returned. 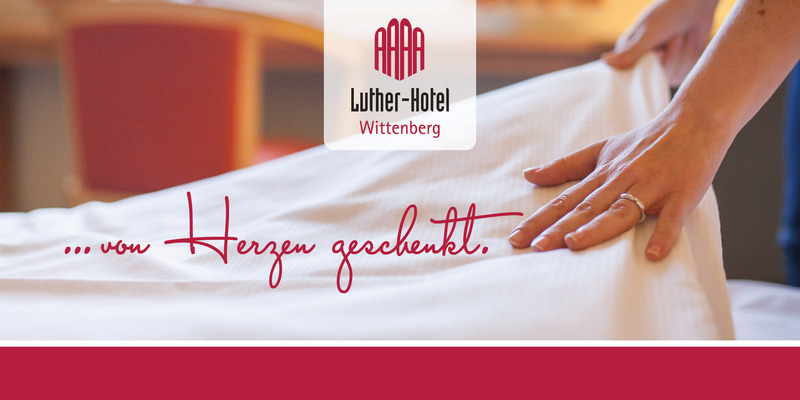 The Albrechtshof Hotels will not benefit in the form of interest, hence a refund of interest is excluded according to §347 Abs. 1 BGB. An already received but cancelled voucher must not be returned. Hence the Albrechtshof Hotels will not reimburse any expenses for returning the voucher. Cash substitution is not possible. Thus, in the event of revocation, please provide your bank details. Special information The right of revocation expires ahead of schedule if the voucher has been redeemed in part or in entirely. The right of revocation only applies to the contracting party.